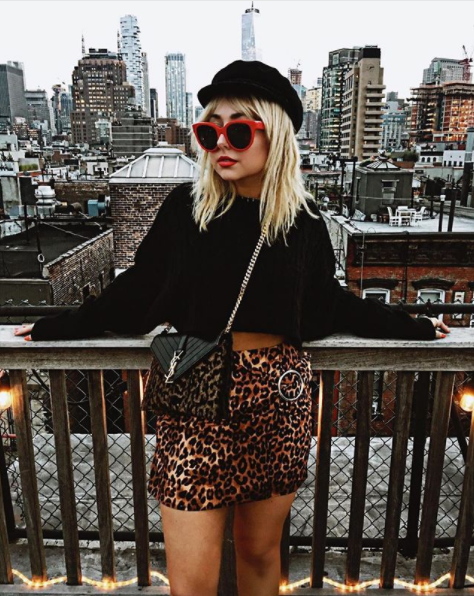 We caught up with blogger and regular to the Fashion Week FROW Nicole Alyse to talk all things Fashion Week. They’re always changing, but since I’ve been in this game for so long – I prefer going backstage rather then the shows. I love seeing the hair and beauty before the looks hit the runway. SO many shows overlap and it’s impossible to go all over the city to make them all, so it’s really about narrowing down to your favorites and keeping a realistic time frame. Spill. What necessities are in your bag over Fashion Week? A disposable film camera and red lipstick always. Best thing about Fashion Week for you? I love that it brings all my favorite internet babes from all over together in one place – all for the same thing we all love and have in common… fasshhiiioonnn! Getting stuck in traffic and just missing a show by a few minutes. It’s literally the WORST. After parties or early to bed, early to rise? After parties AND early to rise. You can sleep the rest of the year when it’s not Fashion Week. Duhhhh. I’ve been blogging since before it was actually “blogging”. I’ve been documenting my life and personal style since the MySpace days. That’s also when I first started buying and selling vintage clothing. Yearrrssss later, I’ve now owned my own vintage shop for 4 years and have been full time blogging for 2/3 years. Nothing really made me “start” doing any of this.. it all just happened organically and naturally because it’s what I love! What makes NYFW different from the others? I’m not even sure this can be answered. It’s New York City. There’s just no other place really like it. What trends are you looking forward to buying into? Love that tweed and menswear seems to be big for women this fall. Looking for the perfect high rise tweed slacks to pair with my vintage tees and moto jackets for the season for sure. 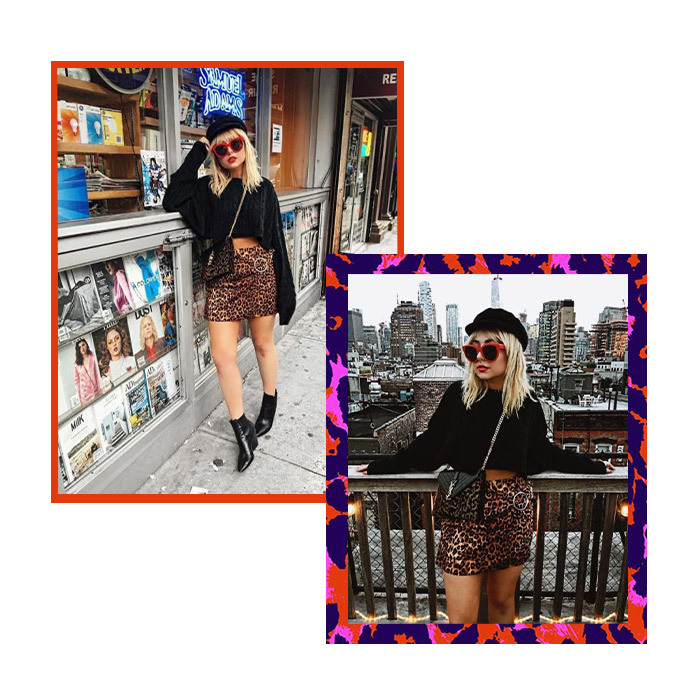 Top tips for making it onto the street style blogs? Top tip is to not follow any tips. If you look like you’re trying to hard, chances are it will be obvious. Just be you – wear what you love – and own it.